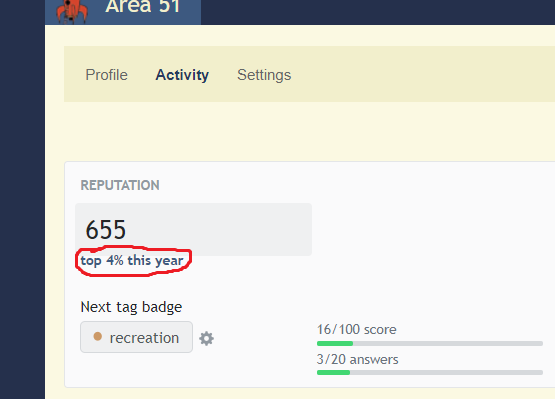 On my profile it says that my rep is in the top 4% this year (not that I care) and there is a link for the full league table. As it so happens, it doesn't exist! Since rep on Area 51 is pretty meaningless, could we disable the link so the statistics becomes plain text? Browse other questions tagged area51-meta feature-request bug reputation . What close reason should be used for example questions that can be answered looking an Internet resource?